The gates are designed to retract for easy storage and easier access to only the desired people. They are portable which makes it quite easy to position the gate even in a different location around your property. These driveway retractable gates are lightweight and easy to install. 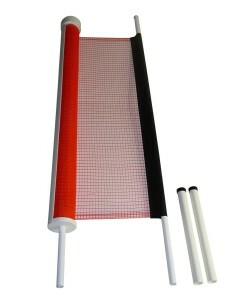 Most of them do feature a retractable net with two poles on either side for sticking to the ground. The retractable gates keep rolling balls or even toys used by children within the barrier therefore preventing kids from chasing the balls to the streets. In addition, they prevent vehicles from accessing the driveway and also prevent kids from running into the streets keeping them out of danger and out of the street. 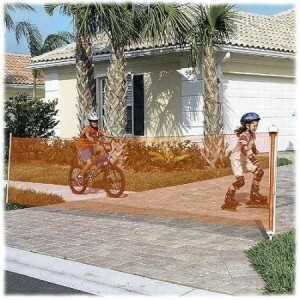 These retractable driveway gates features an orange, weather proof polypropelene caution net measuring 36 inches in height extending up to 18 or 25 ft across the driveway. The safety guard includes a retractable net with two ground sleeves and galvanized steel end poles. The net is mounted into the ground using two ground sleeves to create a visual barrier which naturally establishes a boundary that is protective to children and vehicles. The guard is easy-to-use. The net retracts easily for easy storage into a storage canister and is also easy to re-install again in seconds. The orange net alerts those driving that they need to be on the lookout for kids. Apart from stopping balls from rolling in the street, the net will also stop your kids from riding their skateboards or bikes into the street. 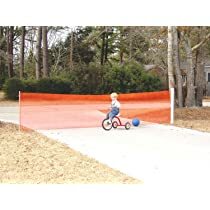 This orange net measures 36 inches high and extends up to 25 ft across to safeguard either 2 car or 3 car driveways. You can also get a net that extends up to 18 ft across. The orange color has high visibility. 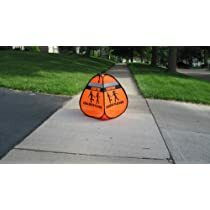 This guard mounts on either side of the driveway to keep balls and kids from getting to the street, while keeping cars out of the driveway. 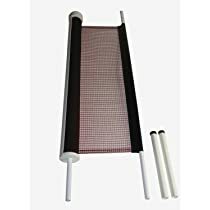 It is easy to assemble as you just need to insert 2 tubes at either end of your driveway and then have the net fixed into the tubes. 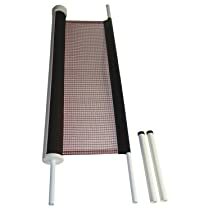 The netting rolls easily for compact storage. 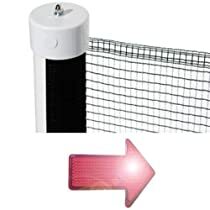 These retractable black net measures 36 Inch in height and forms a visual barrier that keeps your kids and their play items out of the road in order to protect and keep them safe. The high black net extends up to either 25 or 18 ft across the driveway. 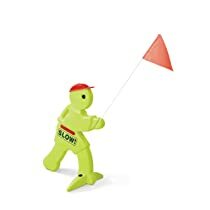 In addition to the above barriers, you can also use the following warning signs that are highly visible; to draw the attention of speeding motorists and also to guide your child to know where they have to stop, as a way to ensure your kid is safe, even when out there playing. 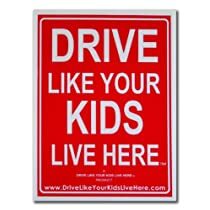 These signs usually alert the motorists as they approach the driveway, that there are kids playing, warning them to reduce speed and slow down. They come in different designs. Some even have storage features that your kids can use to store their toys. Ensure you choose a guard with a mesh that is crafted with water proof material to ensure it lasts for long.Choose one that is easy to mount on either side of your driveway. 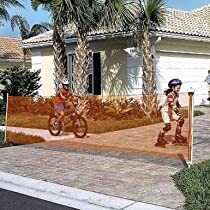 A retractable design is the best choice if you are looking for a temporary barrier as the design takes just a minute to put up and take down.Those with an orange color are more preferred since motorists can be able to see the net and slow down even from the street. It is very important to get a driveway guard that will fit your driveway well. Even when the retractable barrier is in place, always remember that adult supervision is always important especially for young children.